Yelena Strokin is a freelance food stylist and photographer. She has won DMBLGiT for several times. Check her blog Cooking Melangery where she keeps her beautifully styled photos and tested recipes from her kitchen. Kristin Rosenau was an astroparticle physics student who discovered her new love in pastries and she decided to switch her career to pursue a life of butter and sugar since then. Find more of her works, stories and recipes on Pastry Affair. 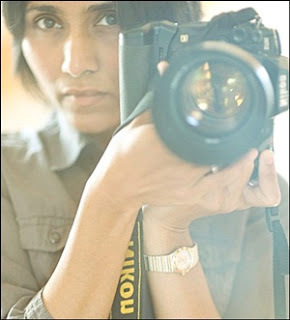 Aisha Yusaf, doesn't have food blog but she has passion and love in food photography. An Indian woman lives in Switzerland with her husband and two kids. 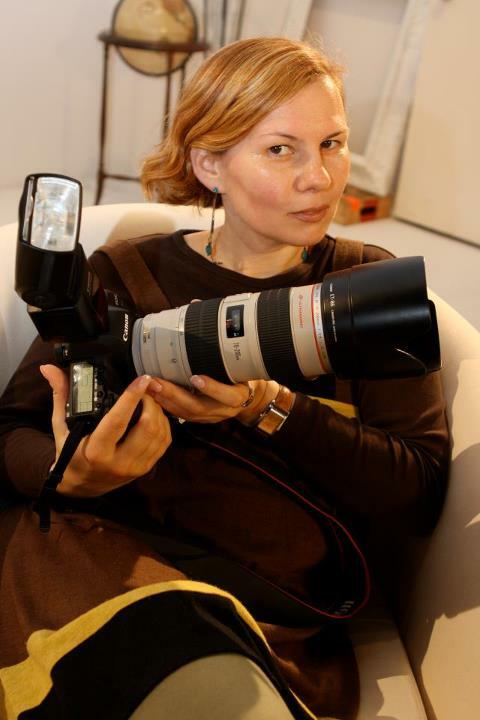 For her, "photography is an art, and in art, as in life, passion is everything. The rest is just detail". You can find her on Flickr and Aisha Yusaf Photography. The owner of Unodedos, Pamela Rodriguez, has won lot of DMBLGiT badges. She likes crossword puzzles, but hates rainy day. 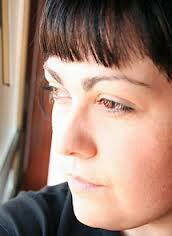 Every day she tries to find some time to write, read and find inspiration everywhere. While you patiently wait, we are judging and scoring photos. This job is a lot easier with the help of four incredible judges above, so I promise to announce the winners on February 1, 2013. 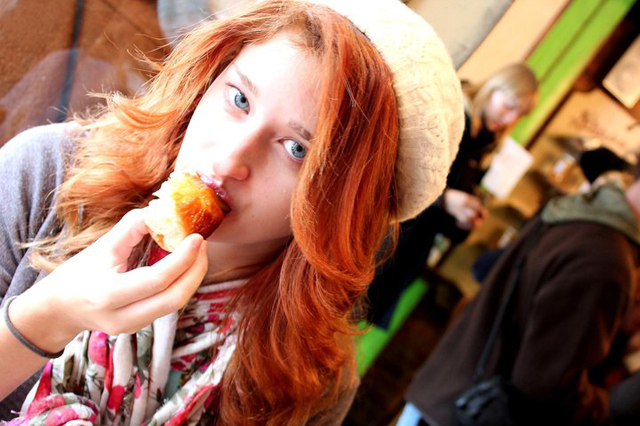 For the third time, I'm hosting the famous and the grandest food photography event, "Does My Blog Look Good in This ?". It's widely open to all foodie blogger to submit their best food/drink photos. If you haven't send your photo yet, you still have plenty of time before the closing date on January 20, 2013. Somehow, it's a good way to find new food bloggers out there with beautiful images. Rain and windy days have made the temperature much cooler than usual. The wind was blowing through the trees in front yard and passed the breeze into the house. It was so hard not to pull back my blanket over my head and go back to sleep. I feel so grateful that I'm still able to enjoy this amazingly beautiful day shared with my loved ones. Cassava root is rich in carbohydrates and it's also a good source of energy. 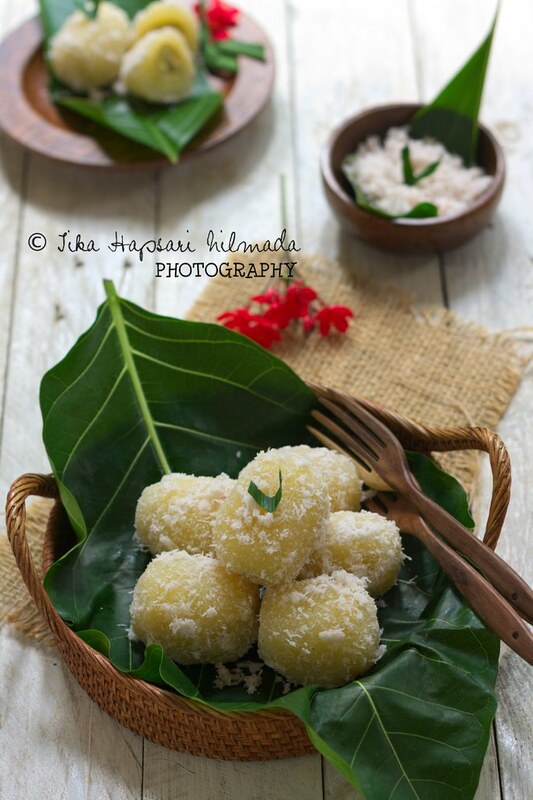 In the country where I grew up, Indonesia, cassava is considered as the primary ingredient of snacks and desserts. 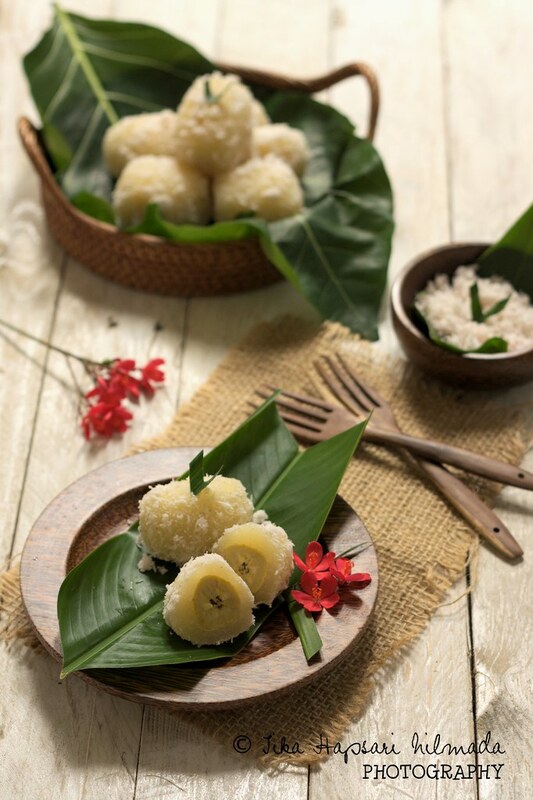 Tapai or tape or peuyeum or fermented cassava is the result of cassava fermentation and it can be cooked in many variations of cooking process. Bake, grill or deep fry. 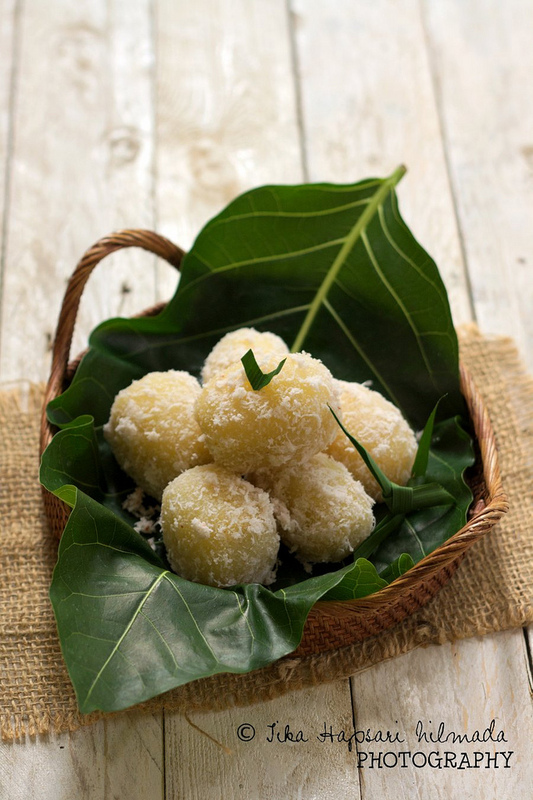 In fact, fermented cassava can be mixed into beverages or desserts. The first recipe I post early this year is a simple Indonesian traditional cake. 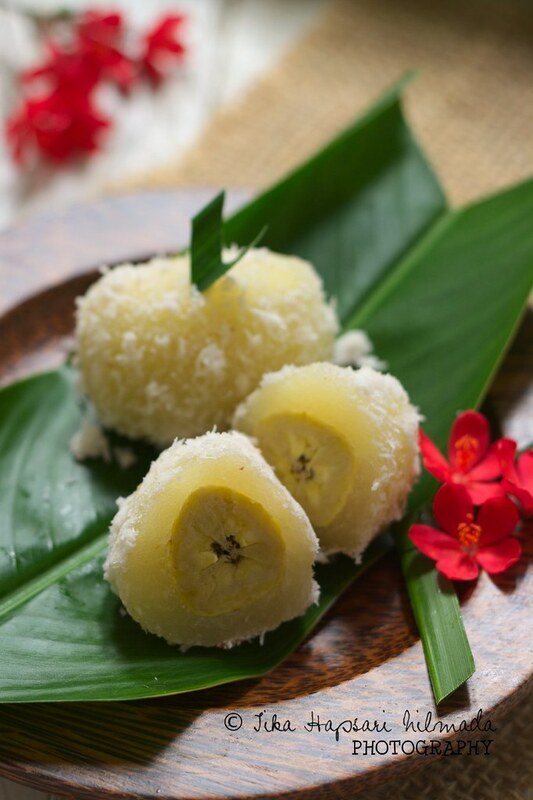 Kalimbu is steamed cassava cake with banana wrapped inside the grated cassava then coated with shredded coconut from an ethnic group in South Sulawesi, Bugis. 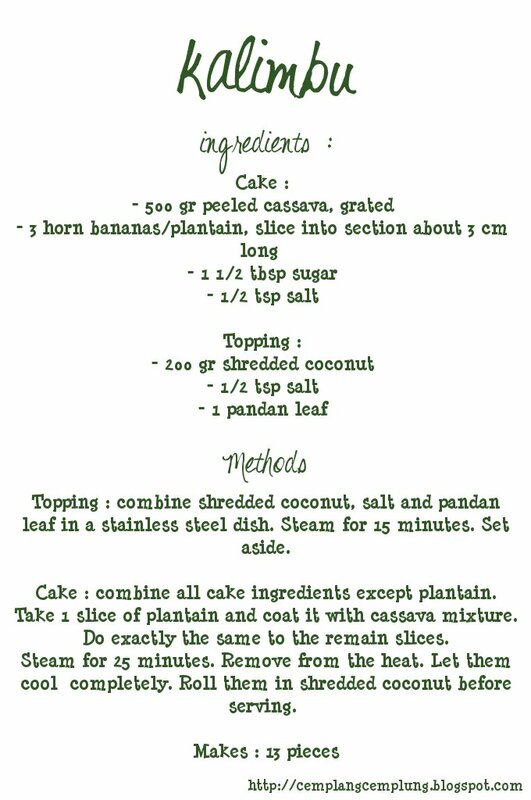 The using of cassava in Indonesian traditional cake is very common. 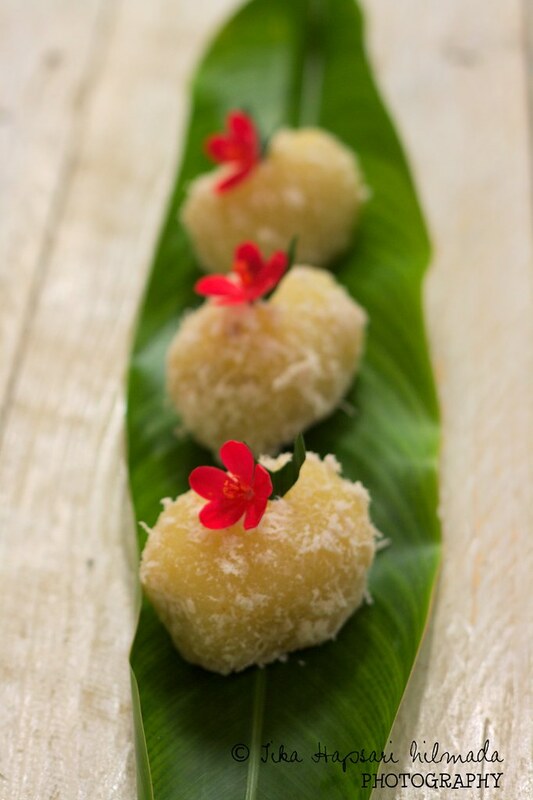 If we dig a little deeper, we'll discover some similar cassava cakes in every regions in Indonesia. We have Mata Roda from Malang , Putri Noong from West Java, Songkolo Bandang from South Sulawesi or Putu Tegal. In West Sumatra, we could find the authentic souvenir made from cassava, it called Keripik Balado or Keripik Sanjai or Cassava chips. Believe me, it's not just chips but more than that. It coated with sticky spicy red sauce that will make you ask for more and more. Happy New Year ! Wishing you all a happy new year filled with new beginning, new joy, new hope to your life. With the spirit of new year, I invite you, the loyal participants of "Does My Blog Look Good in This ?" (it's open to the newbie as well), to take part in January 2013 Edition. DMBLGiT is a monthly food photography event administered by Andrew Barrow of Spittoon Extra. In case you curious who won on previous month, please check the announcement on The Cooking Doctor. I'm so happy to have my photo there as Aesthetics Winner. Interested in being a future host ? It's as easy as one, two, three. First, send a mail to Andrew with "DMBLGiT host" as the subject. Second, find a panel of judges. Third, set everything ready before hand. Back to the main subject, below are details if you want to participate in this event. See you around ! There are three overall winners of photographs with highest point totals in three categories combined, and one winner in each of the three individual categories. I will announce the winners on February 1, 2012. How to enter to contest ? All submissions will be posted to the January 2013 DMBLGiT gallery, which will be updated as I receive entries. Please give me a few days to update the gallery with your submission. And make sure yours is included once I start publishing them. I look forward to your entries.